The 114e features the popular Grand Auditorium body style, whose physical dimensions have made it a popular choice for its appealing performance versatility. 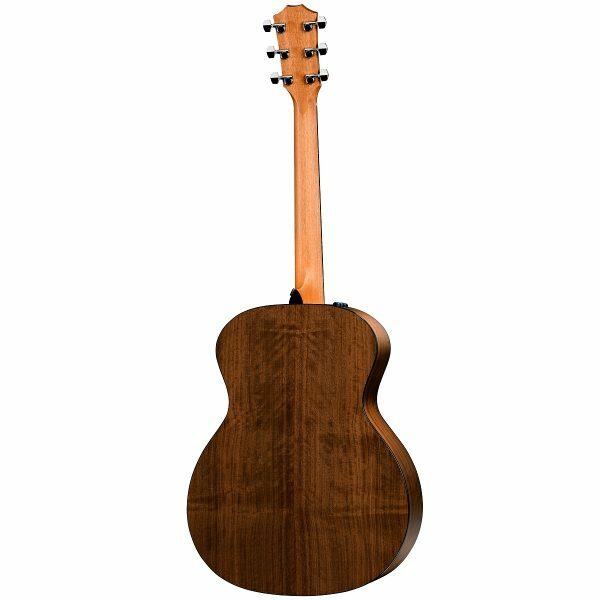 Layered walnut back and sides are topped with a solid Sitka spruce soundboard, which together produce signature clear and balanced tone with a pleasing projection and midrange focus. The 1-11/16-inch nut width is slightly narrower than the standard 1-3/4-inch width of other steel-strings in the 300 Series and up, making it easier for developing players to navigate the fretboard. 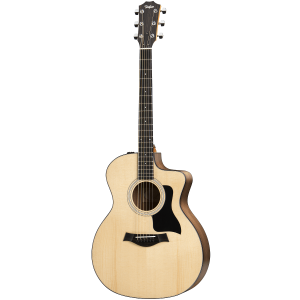 And with Taylor’s onboard Expression System 2 pickup, the guitar is ready to plug in whenever you are. The guitar ships in a durable lightweight gig bag.